study has prospectively considered the associations among these psychological processes and pain reports using experience sampling methods (ESM) during the acute aftermath of injury. 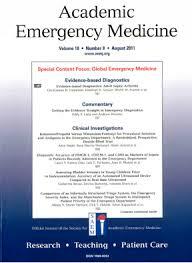 This study applied ESM via daily text messaging to monitor and detect relationships among psychosocial factors and post-injury pain across the first 14-days after emergency department (ED) discharge. Methods: We recruited 75 adults (59% male; M age = 33) who experienced a potentially traumatic injury (i.e., involving life threat or serious injury) in the past 24-hours from the EDs of two Level 1 trauma centers. Participants received 5 questions per day via text messaging from Day-1 to Day-14 post-ED discharge; three questions measured PTSS, one question measured perceived social support, and one question measured physical pain. Results: Sixty-seven participants provided sufficient data for inclusion in the final analyses, and the average response rate per subject was 86%. Pain severity score decreased from a mean of 7.2 to 4.4 over 14 days and 50% of the variance in daily pain scores was within-person. In multilevel structural equation models, pain scores decreased over time, and daily fluctuations of hyperarousal (b = 0.22, 95% CI [0.08, 0.36]) were uniquely associated with daily fluctuations in reported pain level within each person. Conclusions: Daily hyperarousal symptoms predict same-day pain severity over the acute post-injury recovery period. We also demonstrated feasibility to screen and identify patients at risk for pain chronicity in the acute aftermath of injury. Early interventions aimed at addressing hyperarousal (e.g. anxiolytics) could potentially aid in reducing experience of pain.